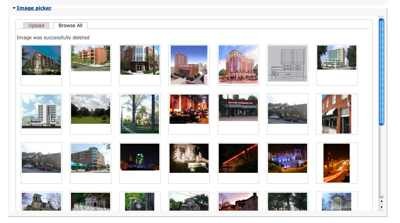 Browse and choose images from my uploaded library, specify float, alt attributes, link to options, and have the HTML generated for me and pasted into my node at the current cursor position. You can’t have WP insert float left or right into your image tag for you which is something I do a lot in blog posts and Drupal sites. 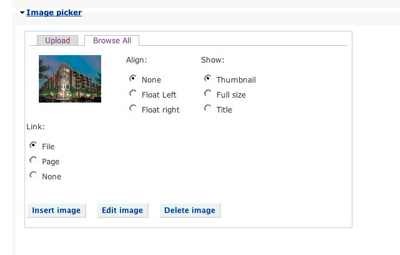 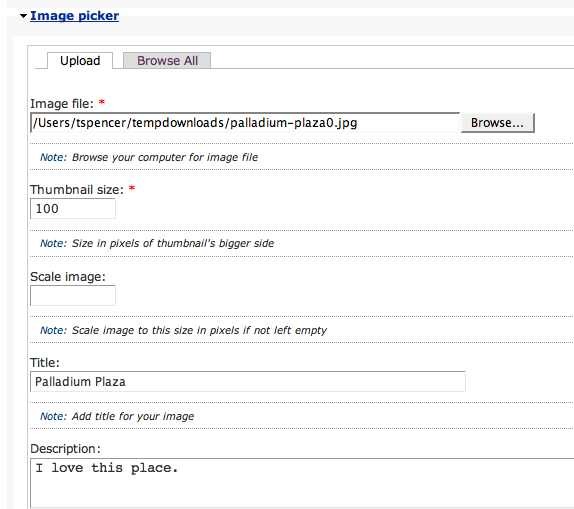 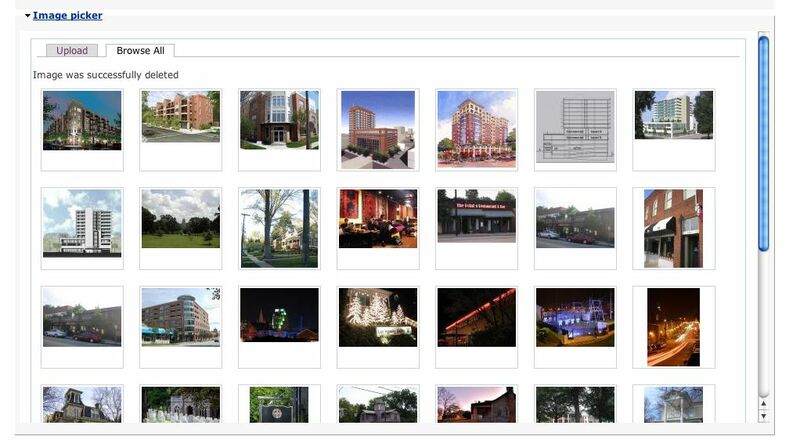 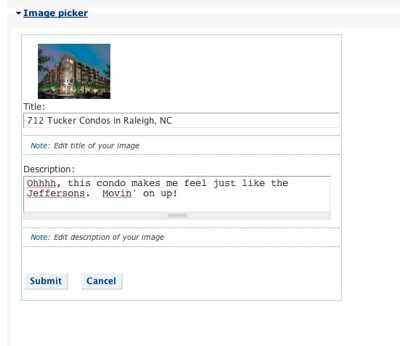 So I designed this new Drupal image upload module, Image Picker to function just like the Wordpress image upload but with all the extras I want.